You Are Here: Home » Around the Web » Our NEWEST TEEN IMPRINT Will Leave You Craving More! Crave is Entangled’s newest category romance imprint all about irresistible first-love stories set during the characters’ teen years with an out-of-this-world, trope-driven bend. Here at Crave, we know that the teen years are rife with heart-stopping feelings and never-ending drama. And whether set in outer space, a dystopian future, or a world where paranormal creatures are real, our teen category romances will leave you grinning…and craving more. 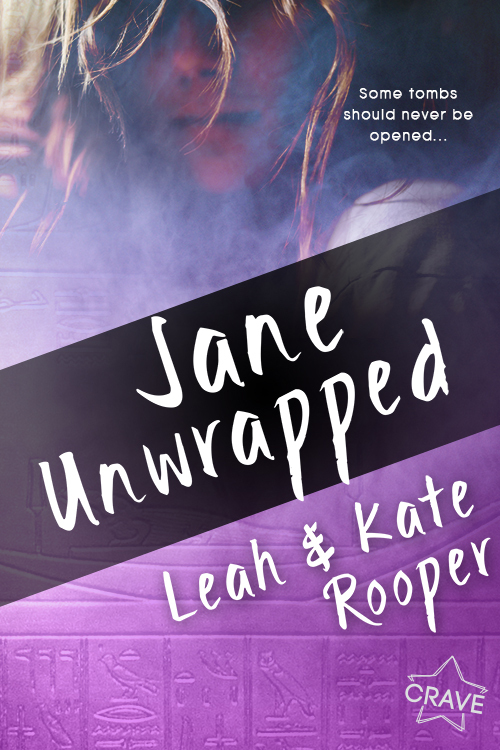 Don’t miss these two must buy releases from Brenda Drake and Leah and Kate Rooper on sale today! Fluorine uranium carbon potassium. Jane’s experiment really went wrong this time. After a fatal accident, teen scientist Jane becomes the first modern-day…mummy. Waking up in the Egyptian underworld without a heart certainly isn’t the best—especially when it means Anubis, god of embalming, has to devour her soul. Yuck. But when Jane meets the drop-dead gorgeous god, suddenly she’s thinking this might not be the worst thing to happen. And then she is pushed to do the impossible—just time-travel and kill King Tut. Well, every experiment has variables which can end in disaster… Jane just wishes she could decide whether she wants to strangle Anubis or kiss him. New Releases: Sara Hantz’s Falling for the Wrong Guy!